Bathroom, Tub & Shower Remodeling. 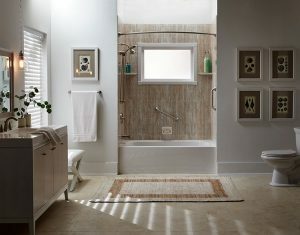 Let Us Transform Your Bathroom Today! 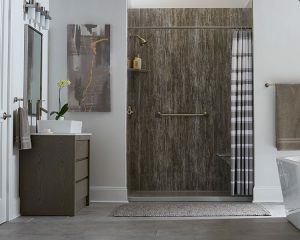 Bathwraps specializes in bathroom remodeling and is the premier source for tub to shower conversions, walk-in bathtubs, bath liners, and custom-manufactured bath or shower systems. Planning a remodeling project for your bathroom? Tired of living with the drab, boring, outdated decor? Want an infusion of luxury? We can help. Here at Bathwraps, we design and build custom shower pans for replacement showers and bathtub to shower conversions, backed by bath and shower systems made with 100% non-porous acrylic that’s mold and mildew resistant. Bonus: we even offer a full warranty, guaranteeing that our products won’t crack, fade, or peel over time. It’s time you got the bathroom of your dreams. Our experienced team of factory-certified dealers can help you design your new custom bathtub or shower every step of the way. Not only are our shower surrounds individually manufactured for a snug fit, you can also choose from a wide spectrum of colors and patterns, including simulated marble, granite, and stone. We also offer a variety of built-in accessories, from grab bars and pedestals to shelves and seats. Find out why so many of your neighbors in Roselle are choosing Bathwraps for their bathroom remodeling needs. For quality work and superior service, choose the experts in bathroom remodeling from initial design through finishing details. It’s our goal to ensure you enjoy many years of a comfortable, functional, luxurious bathroom — a place where you can relax and unwind. 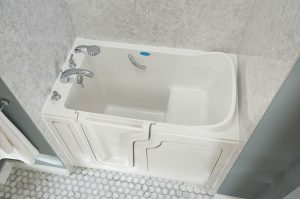 Our acrylic bath liners and related products offer an affordable alternative to messy construction. Who has the time or patience for that? We make it simple to have the bathroom of your dreams. For the highest quality bathroom remodeling, trust Bathwraps. Contact us for a free quote or for more information.